With a shipping family background of 40 years and an experience of 12 years in shipping industry, ALL SEAS SHIPPING AGENCY was founded in 2005 to start a regular and direct Liner containerized service from north continent to Tunisia. Year after year, we have been growing, diversifying our activity in grain business and Project cargo. We developed the grain bulk carrier becoming one of our most important agency in the country and ensuring a satisfactory assistance for vessels under well-known owners or charterers such as DS Norden, Clipper, Dabinovic Monaco, Intermar (Toefper Germany), Soufflet, Cargill, In Vivo and several others. We are today partners of several very renowned and important players in the grain and bulk industry. The project cargo is a specific branch we developed with valuable partners such as Bogacizi offering assistance to reputed owners, BBC CHARTERING, Normed, etc.. 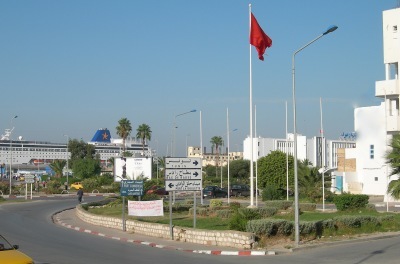 Besides, we developed a new sector, which is the cruises vessels assistance, mainly with Cie DES ILES DU PONANT (CMA-CGM group), and ensuring first class assistance in most Tunisian ports such as La Goulette Sousse and Djerba . All Seas is today one of the biggest actors in Rades port (first container and RoRo terminal) acting as partner of X-Press Feeders with two services linking main south-European Hubs to Tunisia. Our head office is a more than one century-old building located at La Goulette. It is located at 300 meters from the port gate and 1500 meters from Rades terminal dedicated to RoRo and containers. With our own network, we can assist all kind of ships, barges, commercial or pleasure Yachts in all Tunisian ports: Bizerta, La Goulette, Rades, Sousse, Sfax, Gabes, Zarzis and Skhira.